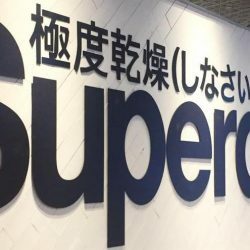 Till 2 Jul 2017 Superdry: Super Sale Up to 40% OFF Storewide + Additional 15% OFF & FREE Gift at Superdry Mandarin Gallery Opening! Superdry, the Japanese Street Style brand from UK, is having a mega sale! The SALE you've been waiting for - get 40% OFF* storewide and get an additional 15% OFF* when you buy 3 or more pieces! Get your cool and edgy street style jeans, jackets, shirts, tees, bags, shoes and accessories with hand drawn graphics now! Also SUPERDRY MANDARIN GALLERY is officially opening today!  Get in line because the first 60 customers everyday till 26 June gets a FREE GIFT with any purchase. 28 - 30 Oct 2016 Mandarin Gallery: Pop-up Ice Cream Bar with FREE Ice Cream Giveaway! Trick or Treat? The Gallery Experience is back! 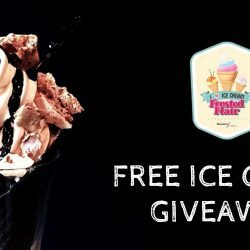 Look out for Frosted Flair, Mandarin Gallery's pop-up ice cream bar, where they will be giving away gourmet soft serve ice cream in either a homemade charcoal cone or in a customized cup for free from Friday to Sunday. The just-churned ice cream will come in exotic flavours that are especially hard to resist – Salted Egg Yolk on Friday and Saturday, and Sunday will feature Hay & Honey. To redeem your free treat, simply follow @mandaringallery on Instagram or show a receipt of your latest purchase from the mall at their pop-up ice cream bar!